Cultural intelligence, the ability to adapt to new cultural contexts, is becoming an increasingly important skill for project leaders. I recently presented at PMI Global Congress on latest findings from Cultural Neuroscience research and how they can inform the way we develop our cultural intelligence and effectively lead global cross-cultural teams. While at the congress, I had the pleasure of being interviewed by Cornelius Fichtner for his Project Management Podcast™. About: The Project Management Podcast™ is a free, weekly podcast that looks at how project management shapes the business world of today and tomorrow. It was first published in 2005, and is intended for both beginners and expert practitioners. 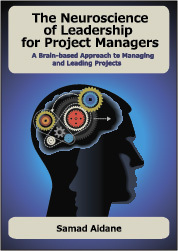 It covers a diverse range of project management concepts from A like Agile to W like Work Breakdown Structure. There is no signup required, and best of all, PMI certified individuals can earn up to 30 free PDUs just by listening to the interviews.